Unlike arrays, it's always been tricky to get the object length. Well no more! 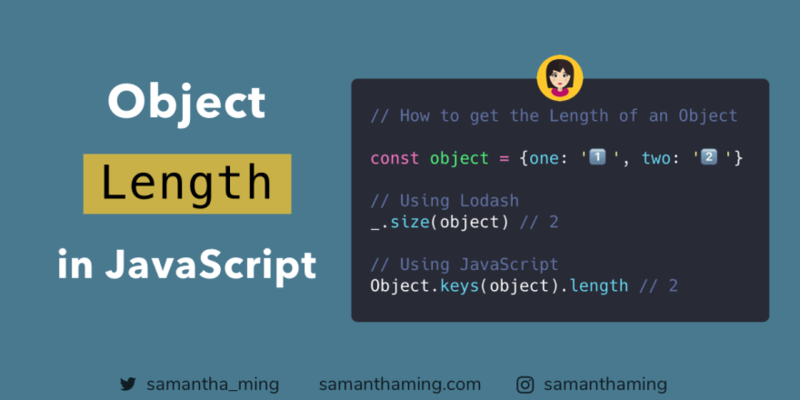 You can't do it because object doesn't have a length property. Only string and arrays have a length property. Alright, let's cover another topic. I mentioned at the beginning that Object.keys returns an array of enumerable property keys. So let's figure out where this enumerable attribute comes from. 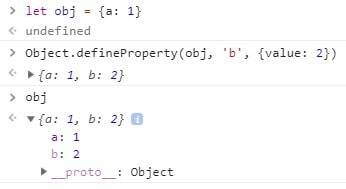 Alternatively, we can also use Object.defineProperty. It accepts 3 parameters. And it's in the property descriptor where we can set our enumerable attribute. Hmmm...that's odd. Why didn't our property show up 🤔 Well, that's because when we define a property this way, the enumerable attribute is by default false. So if we want it to show up, we need to set true to it. // ☝️ Great, it shows up now! Let's go back to our object property example that we set with the dot notation. Why did it show up automatically? Well, that's because when we assign a property that way, the enumerable attribute is automatically set to true. For most of us, we would rarely touch the enumerable attribute when defining our property. It's simply a way for us to control if the particular property we created will show up or stay hidden when we iterate over the object using Object.keys. 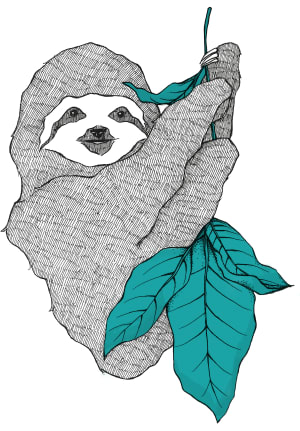 If you want to learn more about enumerability, I recommend reading this article, Enumerability in ECMAScript 6. Therefore, the attribute enumerable is used to hide properties that should not be iterated over. That was the reason for introducing enumerability in ECMAScript 1. Now that you understand enumerable, let's cover another method that you might see as an option to get the length, Object.getOwnPropertyNames. As you can see Object.getOwnPropertyNames will return ALL property keys, whereas Object.keys will just return the enumerable property keys. As I mentioned before, enumerable attributes are maybe hidden for a reason, so you might not want to access that. Therefore, Object.getOwnPropertyName might not be the method you want to use to get the length of an object. Before you default to Object.keys to get the object length. I want to point out one more consideration. In ECMAScript 6, ES6, a new primitive data type was introduced called symbol. 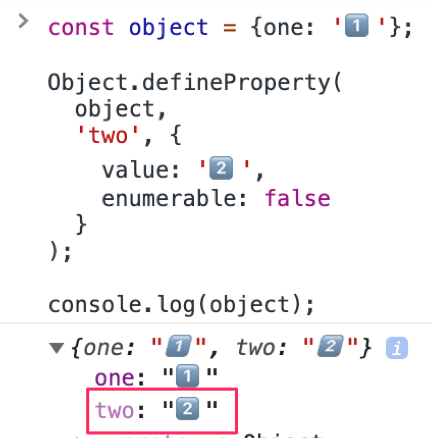 And you can use symbol as a property name on an object. But the gotcha is when you have a symbol as a property name. Object.keys nor Object.getOwnPropertyNames will work. Now combining the two methods, you will get the proper length. 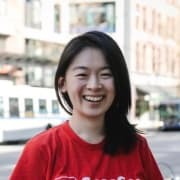 Semantics: A JS object is a collection of properties, keys that map to their respective values, with keys that can only be strings or symbols. It doesn't have a length. Similar to asking "What is the length of your car?" and giving the answer "The length of my car is 14, because it has 4 doors, a trunk, 6 windows, and 4 wheels". Using Object.keys().length or Object.getOwnPropertyNames().length gives the length of the list of enumerable keys (or all property names for the latter), not of an object. Something you could add: Using an object as a key calls .toString(), which will make all object keys conflict on the key "[object Object]". ES6' Map works with objects but uses their memory address as keys, so an exact copy of an object will have a different key (no deep comparison, for efficiency). You're absolutely right. Semantics, to define the meaning of things, is great to have conversations about if you find the right people. Meaning is flexible, after all, until something is defined. Exploring this creates new understanding and perspectives, which works wonders to break out of black/white thinking. Maybe length is the wrong term, but it's perfectly reasonable to define an object's size the way it's done in this post. Using size and capacity instead of length on data structures with dynamic lengths was done before JS. There was probably a discussion somewhere, where they argued for/against both. Python implements len() as a function with the magic method __len__ precisely to have one consistent way of retrieving an intuitive "length". Btw, Chrome displays not enumerable properties in the console. It just shows them slightly differently - not as bright as enumerable ones. I enjoyed this article! "How to get an Object Length" really undersells it. Didn't know about the enumerable property - or the weird thing with symbols. Great piece of writing. At first you said that Object.keys don't return hidden properties. In the end of the article you use this method to count a number of object's properties. I guess you should use Object.getOwnPropertyNames(animal).length instead of Object.keys(animal).length. Here's your code in the end of the article to count total amount of an object's properties. This object has two properties, but your code above will return 1. So my thought was that it's better to replace Object.keys with Object.getOwnPropertyNames to return correct amount of an object's total properties. The enumerable and Symbols parts were especially excellent. This made me play around with your example code a bit and I have a question. How should I handle this case where I don't want the symbol to get counted? Came up with this, other solutions? All enumerable properties, including ones with Symbols as keys. 1 non-enumerable properties with Symbol as key. As a workaround, what about Object.values().length ? I'm getting 3 for the length of both keys and values. The arrays are ["a", "b", "c"] and ["somestring", 42, false], respectively. I've used getOwnPropertyNames in the past, along with recursive calls on an object's prototype, to get all of the properties that object has and that it inherited. 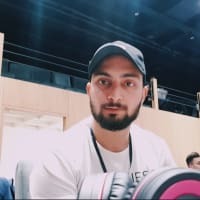 Can I Just Be A Front-End Developer, Or Do I Need To Be Full-Stack?